Noticeably, in the midst of this state of affairs, Japan—theoretically the most stable country in Northeast Asia—has promulgated a surprising new map of itself during the past two decades, which in many ways exacerbates the country’s plentiful border disputes that have lingered since the collapse of its empire in 1945. 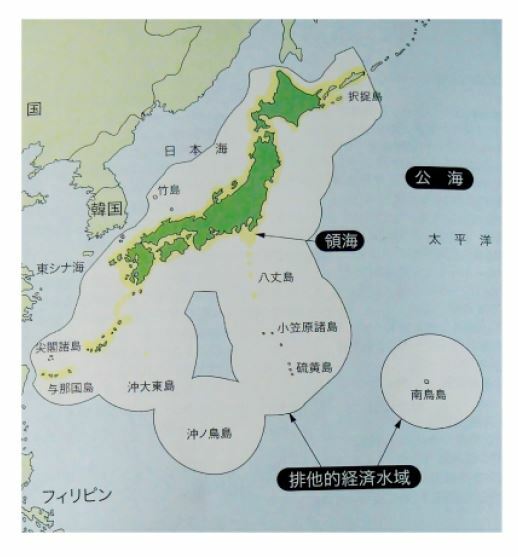 In many ways, the new map of Japan (see Figure 1) clearly represents an ideal: should Tokyo be able to assert uncontested control over all the islands that it claims as its sovereign territory—which includes the Northern Territories/Kurils, Dokdo/Takeshima, and Senkaku/Diaoyutai—and define far-flung reefs as islands (particularly Okinotorishima), then this lumpy circle with its misshapen donut hole would in fact define Japan as the “sixth largest nation in the world”.2 At the same time, for many Japanese, especially most policymakers, this map is far more than an ideal; it is the current representation of the nation. It already defines Japan’s borders and demarcates the area that Japan’s military forces are charged with guarding on behalf of the nation. Thus, although each nation in Northeast Asia has its own serious border disputes — from the division of North and South Korea to the question of Taiwan’s separate existence from mainland China — Japanese leaders and policymakers appear to be going beyond other countries by drawing increasingly rigid borders with each of Japan’s neighbors. Moreover, by pursuing a policy of all-or-nothing possession of the islands to nervously mark Japan’s borders to the north, west, southwest, and south, Japan would seem to have the most to win or lose. Uncontested ownership of these territories would unequivocally grant Japan a far larger space on the planet than what many might currently imagine as the shape of Japan. In a region rife with high-stakes territorial disputes, such as the conflict on the Korean Peninsula or tensions over Taiwan and Tibet, the expression “island disputes” may appear to suggest that Japan’s border contests are somewhat inconsequential. From Tokyo’s vantage point, though, all of Japan’s island disputes taken together mean that, except for the Pacific Ocean to the east, the nation’s borders are entirely up for grabs, a situation that appears to explain Japan’s all-or-nothing stance. For Japan to lose even part of one of its contested islands (as little as half of Dokdo, for example) would mean losing claim to all of the disputed islands and all of the associated maritime space. In other words, Tokyo’s decision to promote the territorially expanded view of Japan reflected in the map shown in Figure 1 relies entirely on “winning” each of its island disputes, even at the cost of regional stability. One reason for this predicament stems from how recent international law attempts to define territorial boundaries and how it interacts with the endless historical debates over Japan’s attempts to control Asia between roughly 1870 and 1945, the time period that comprises the substance of the “history” required by these very same laws to legitimate present-day borders and sovereignty. In other words, international law requires that something called “history” determine today’s disputed borders even though all sides disagree over the history involved as well as how to interpret it. This has resulted in today’s intensely volatile state of affairs. On the one hand, state-to-state discussions have maintained a rough stasis vis-à-vis fishing-limit lines and gas and oil drilling (although this, too, would increasingly appear to be changing, especially between China and Japan). On the other hand, public outcries over recurrent clashes have become increasingly entangled in the so-called history problems and apology politics. As such, open popular involvement disproportionately emphasizes fluid definitions of national borderlines that rest on far more contingent factors than the location of natural gas deposits, for example. A fundamental difference between the island issues and the other components of the history problems (such as the Nanjing massacre or the notorious comfort women system) is that the islands themselves have very little human history at stake.7 As such, the islands offer relatively blank fields on which to battle the past in the present. They are importantly free of problems such as collaboration or complicity, which complicate pure “us versus them” versions of the past articulated in the other history problems. The island disputes allow all those who engage in the debates enormous liberties with the categories of historical perpetrator and victim, among other things. Japanese, for example, can much more easily portray themselves as victims in telling the islands’ history—“We were robbed!”—than when trying to explain away the atrocities Japanese troops committed in Nanjing. As a result, the islands now stand as the preeminent objects and markers with which to claim the contested past for future control of the region. And yet, while the Ministries of Defense and Education now bring all the islands together, Japan’s Foreign Ministry—which is officially still responsible for handling the diplomatic standoffs—appears out of step both with these other ministries’ collective approaches (which political leaders in China, Russia, and South Korea themselves are beginning to espouse in the open as a possible collective strategy) as well as with the general public, which also is increasingly lumping them all together. The Ministry of Foreign Affairs continues to categorize each dispute as a bilateral matter.10 Undoubtedly, it pursues this approach so that the question of Okinawa remains off the agenda and, along with it, questions of Okinawan, Japanese, and U.S. sovereignty and control. Such discussions have been remanded to a separate plane of existence and, remarkably, remain largely removed from much of the discussion of the history problems writ large. In short, the bilateral approach pursued by the Foreign Ministry keeps the island problems squarely associated with the Asian theater of World War II. Within Japan’s more immediate Northeast Asian context, however, this country-to-country approach falters. The Foreign Ministry’s statements erase the historical totality of the long-vanished Japanese empire, all the while insisting that “history” legitimates Japan’s sovereignty over the islands today even though it was the course of the Japanese empire that initially marked all of these islands as under Japanese sovereign control.11 Moreover, logical inconsistencies abound: Japan’s claim to Dokdo—“it is not specifically included in the Treaty so it is not not ours”—immediately leads one to wonder about the approximately 3,000 other islands surrounding the Korean Peninsula that the treaty fails to mention, given that the “history” in play would equally legitimate such a cause.12 Thus, while it might be practical from a tactical standpoint for the Ministry of Defense to declare what it prepares to defend as Japanese territory in an ipso facto “I can see it so it is mine” fashion, it is less convincing in the Foreign Ministry’s version of the same because of its reliance on “history” and not “mobile units”. For all practical purposes, Northeast Asia’s island disputes generate head-on collisions because of how all sides use history. Arguably, Japanese officials are doing the greatest disservice now because of their unhelpful determination to will away the nation’s past. Furthermore, the exclusive economic zone and extended continental shelf features of the Law of the Sea that were put into practice during the 1990s are making matters much more difficult. When disagreement exists, the law advises that “neighboring coastal States may also need to be approached.”13 The problem is, of course, that disagreement exists at each turn, with Japan having the most to win or lose and history being far from a neutral record. Should history be part of determining ownership today, all sides involved must allow history to be what it is: messy, open-ended, and indeterminate. Japanese officials responsible for delineating the shape of Japan today should more clearly address the edges of historical Japan. Otherwise, they risk squandering remaining opportunities to craft mutually agreeable and productively stable boundaries for the future of the nation and the peace of the region. * The views expressed herein do not necessarily reflect the views of the Asan Institute for Policy Studies. See Heonik Kwon, The Other Cold War (New York, NY: Columbia University Press, 2010); see also Arif Dirlik, ed., What Is in a Rim? : Critical Perspectives on the Pacific Region Idea (Boulder, CO: Westview Press, 1993). Such diverse state aggrandizers as mainstream journalists and Japan Coast Guard officials maintain as much based on the incorporation of exclusive economic zones and extended continental shelf areas in the surrounding seas. Kaijo Hoancho (Japan Coast Guard), Kaijo Hoancho Repo-to 2011 (Japan Coast Guard Annual Report 2011) (Tokyo: Kaijo Hoancho, 2011), p. 1. Quite a number of books and articles explain these issues, and several offer policy suggestions. In English, for example, see Kimie Hara and Geoffrey Jukes, eds., Northern Territories, Asia-Pacific Regional Conflicts and the Aland Experience: Untying the Kurillian Knot (New York, NY: Routledge, 2009); see also Kimie Hara, “Cold War Frontiers in the Asia-Pacific: The Troubling Legacy of the San Francisco Treaty,” posted to www.japanfocus.org, September 2006; Gilbert Rozman, Japan and Russia: The Tortuous Path to Normalization, 1949-1999 (Tokyo: St. Martin’s Press, 2000). In Japanese, begin with Wada Haruki’s work as well as Yoshizawa Fumitoshi, Sengo Nikkan Kankei: Kokko Seitoka Koho wo Megutte (Tokyo: Kurein, 2005). See The Treaty of Basic Relations Between Japan and the Republic of Korea, 1965 (Seoul, 1965); see also Mark Selden, “Small Islets, Enduring Conflict: Dokdo, Korea-Japan Colonial Legacy and the United States,” posted to www.japanfocus.org, April 2011. One example is the Russian Coast Guard’s killing of a Japanese fisherman in August 2006 in an area over which both countries claim sovereignty. There is plentiful coverage in the press and an interesting essay from the Japan Coast Guard’s perspective in Iwao Katsuji, Tatakau! Kaijo Hoancho (Tokyo: Kojinsha, 2008), pp. 66–69. The Asan Institute for Policy Studies Annual Opinion Survey, 2011; in December 2011, the comfort women’s history resurfaced as a significant source of tension between Seoul and Tokyo, with Tokyo’s obdurate demand that Seoul require citizens to dismantle an innocuous statue built in these women’s honor. Ironically, North Korean leader Kim Jong-il died (or his death was announced) just as President Lee Myung-bak and Prime Minister Yoshihiko Noda engaged in rather stern words over this history, and it would seem that the shock over Kim’s death has again eclipsed the women’s claim to the spotlight, possibly now for the last time. This includes the Northern Territories/Kurils, which count as the only truly substantially inhabited islands out of all of the islands in question. All regional papers featured articles on this topic. See the Asahi and The Japan Times, March 30 and March 31, 2011, as well as the Hankyoreh and The Korea Herald, March 30–31, 2011. “National Defense Program Guidelines for FY 2011,” released in Japanese and English on August 2, 2011. See especially Section V, Part 1b, “Response to Attacks on Offshore Islands”. Published in hard copy and online: http://www.mod.go.jp/e/d_act/d_policy/pdf/guidelinesFY2011.pdf. The Foreign Ministry’s website links to policy explanations of each dispute: www.mofa.go.jp. (1) Naming the northern reaches of Ezo and beyond as part of Japan was revolutionizing/internationalizing bakumatsu/early Meiji Japan’s first expansionistic act (thus introducing the Kurils into nascent modern national consciousness); (2) incorporating the Ryukyuan Kingdom was its second step (and, by extension, the Senkaku debate); and (3) declaring Korea part of Japan announced Japan on the world stage (the Takeshima problem). During the past decade, the Foreign Ministry has devoted much time and resources to these disputes, reworking earlier statements and publishing and distributing elaborate multilingual brochures on its website and in glossy and expensively produced print format. See, for example, Gaimusho, Takeshima: Takeshima Mondai wo Rikkai suru tame no 10 Pointo, 2008, and online see http://www.mofa.go.jp/region/asia-paci/takeshima/index.html. On this point, see Miki Masafumi, Kokkyo no Shokuminchi: Karafuto (Tokyo: Hanawa Shobo, 2006). For the Foreign Ministry’s Northern Territories policy (in Japanese, English, and Russian), see http://www.mofa.go.jp/region/europe/russia/territory/pamphlet.pdf. Division for Ocean Affairs and the Law of the Sea: Training Manual for Delineation of the Outer Limits of the Continental Shelf Beyond 200 Nautical Miles and for Preparation of Submissions to the Commission on the Limits of the Continental Shelf (New York: United Nations, 2006), Module VIII-2. 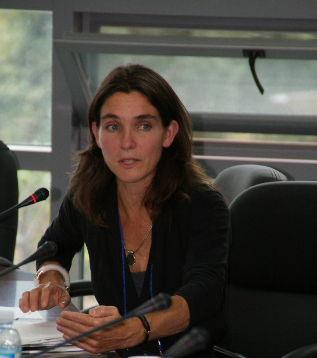 Alexis Dudden is a professor of history at the University of Connecticut. She is the author of two books ㅡ Troubled Apologies Among Japan, Korea, and the US (Columbia University Press, 2008) and Japan's Colonization of Korea: Discourse and Power (University of Hawaii Press, 2005) ㅡ as well as the author of numerous articles. Dudden is the recipient of several fellowships and grants, including a Fulbright to Korea (Seoul National University, 2002-2003) and a Fulbright to Japan (Niigata, 2009-2010). She is currently writing on the history of Northeast Asia's islands disputes from 1850 to the present.